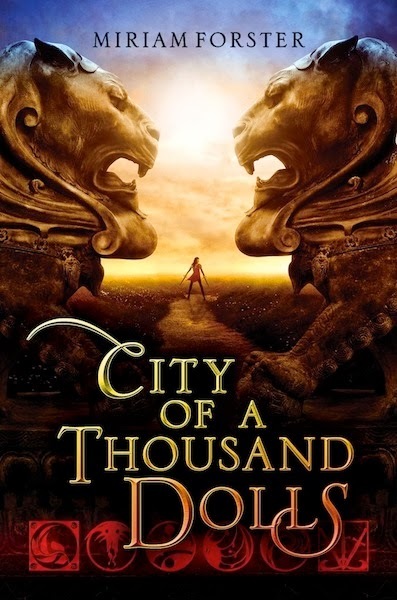 Nisha, a young woman abandoned at the age of six, grew up in the City of a Thousand Dolls, a state-sanctioned facility that takes in unwanted girls, provides them with training in one of several professions (scholar, healer, society wife, assassin, courtesan, etc.) and then later sells them to interested clients at the annual Redeeming. Nisha has never questioned the system—but when several girls turn up dead, she can’t let the matter lie. She sets out to find answers—and in the process, finds out bewildering information about her own past. With her debut novel, Forster adds to, if not out-right invents, a new genre: the fantasy/mystery hybrid. Her world, which borrows predominantly from Southeast Asian cultures, is well thought-out and interesting, and the heroine, Nisha, is an admirable protagonist. I wish the supporting cast had been a little more developed, and the ending wrapped up just a bit too neatly—but other than that, it’s a promising first installment in this new series.